The forces that drain your bucket aren’t all negative, of course. 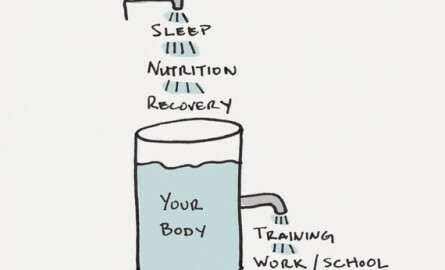 To live a productive life, it can be important to have some of things flowing out of your bucket. Working hard in the gym, at school, or at the office allows you to produce something of value. But even positive outputs are still outputs and they drain your energy accordingly. Because recovery is not negotiable. You can either make time to rest and rejuvenate now or make time to be sick and injured later. Keep your bucket full. James Clear writes at JamesClear.com, where he uses behavioral science to help you master your habits, increase your creativity, and improve your health. For useful ideas on improving your mental and physical performance, join his free newsletter. 1. 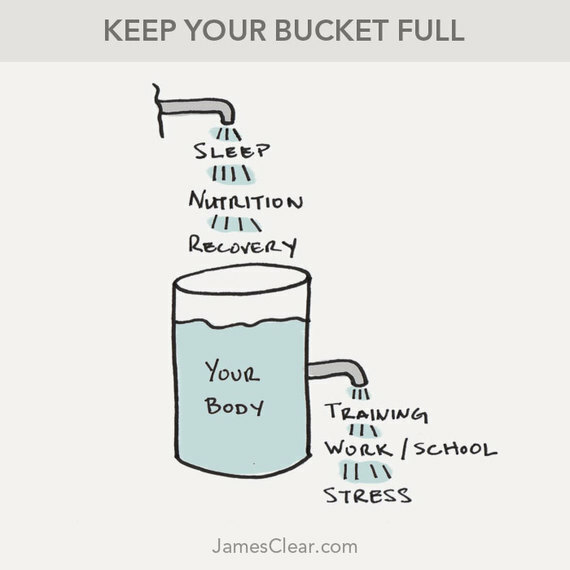 My image of the bucket was inspired by the original idea of the stress and recovery bucket mentioned in Paul Chek’s book, How to Eat, Move and Be Healthy!